How do I add payments manually? 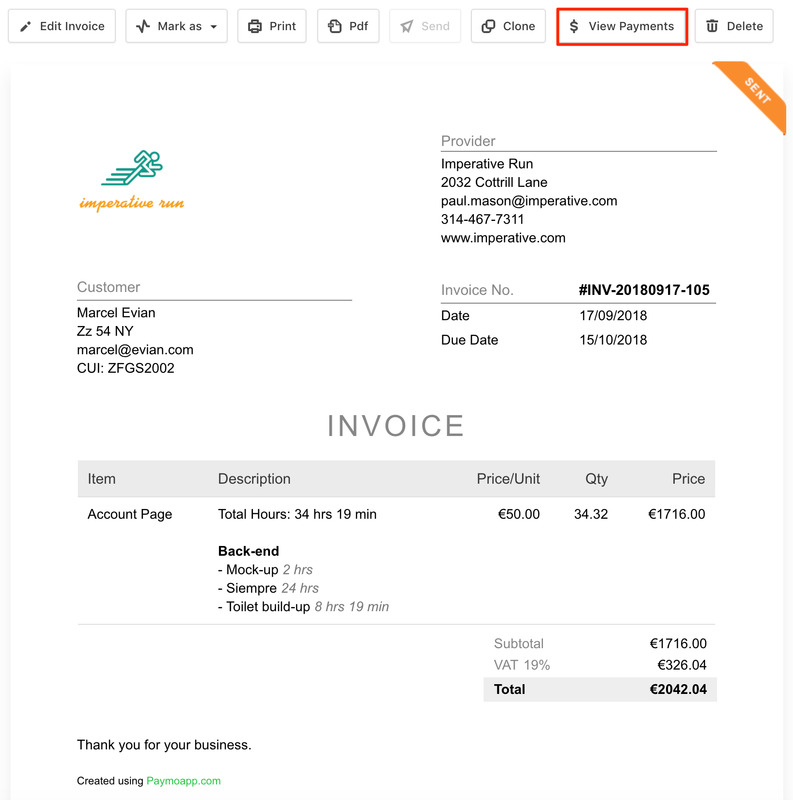 Learn how to add partial payments or other manual payments to your invoices. You can give your clients the option to pay you by using their credit cards, but some might still prefer wire transfers or cash. When that is the case you can add the payments manually. 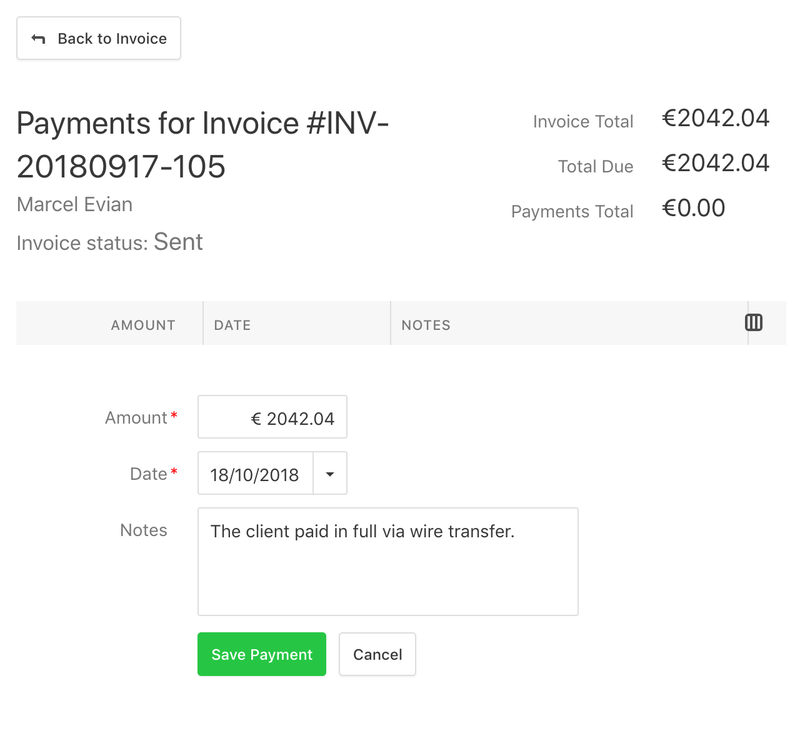 In order to do that, you need to go to Accounting → Invoices → Select the desired invoice → View payments and set the desired amount. You can add partial payments as well together with notes. Note: The View payments option isn't available for Draft invoices, so they need to be Sent or Viewed.